30 Jan Download this poster to help others hear! We’d like to see this poster in your community! You can help us spread the word about the Hearing Aid Project. The national Hearing Aid Project collects your used hearing aids, refurbishes them, and provides them to those who can’t afford them. Any age, any model. A hearing aid that is no longer being used can make a big difference in someone else’s life – someone who could not afford a hearing aid without your donation. 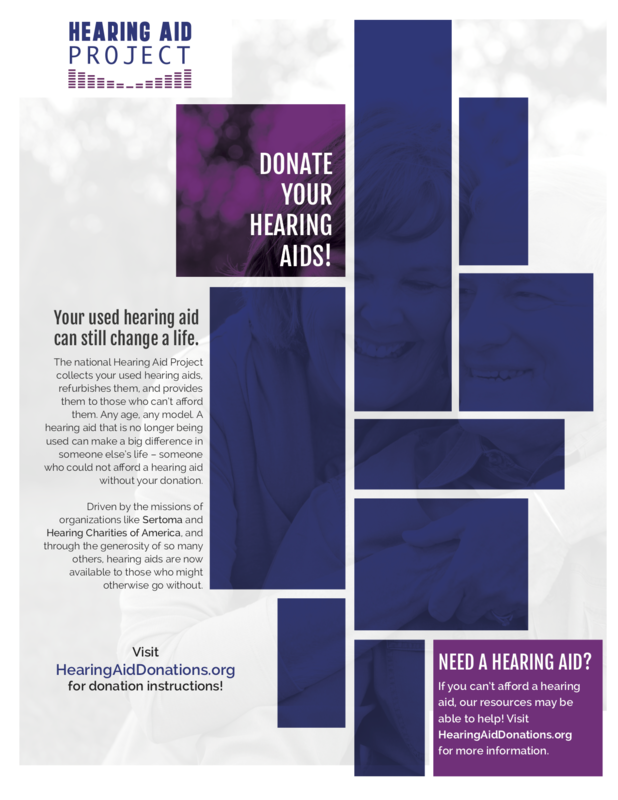 Download this printable poster and hang it to help other seniors know there IS a place where their used hearing aids can help others.